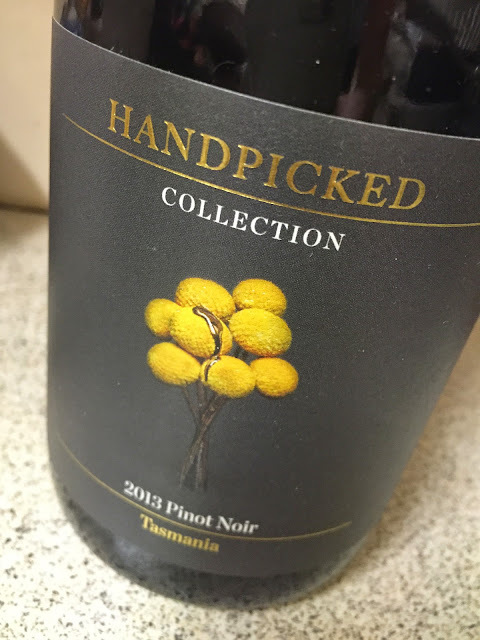 There’s so much to like about these Handpicked Collection wines. Nice packaging. Admirable intensity. Yet, crucially, there all just a little bit too warm, as if the grapes are all intentionally left out a day or three too long (which can happen with a grower fruit model like Handpicked relies on) in the bid for more flavour. And it just robs the wines of their delicacy. This Tassie wine is perhaps the freshest of the line, with rhubarb and red fruit fragrance to counter the alcohol warmth. Still, it finishes raw, the acidity hard, the alcohol firm too. So much promise, just not quite the delicacy to impress at this pricepoint.